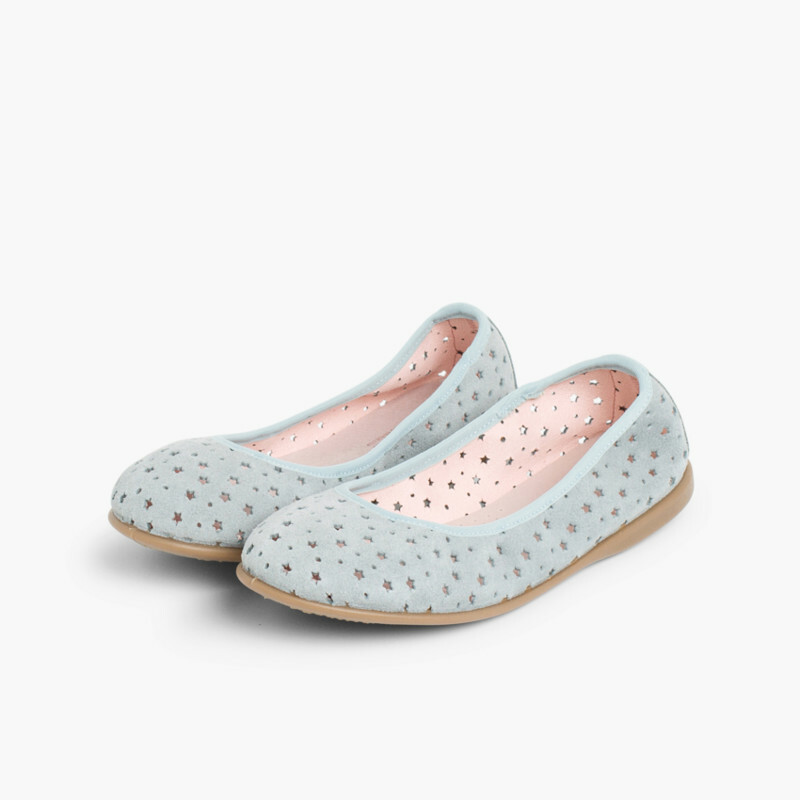 Does your little girl need stylish and comfortable shoes? 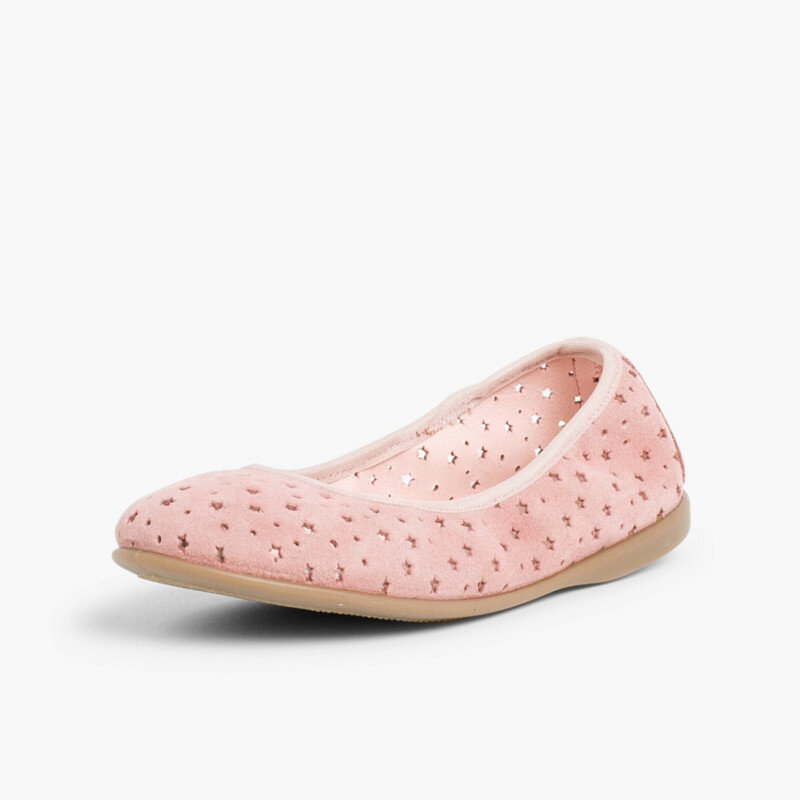 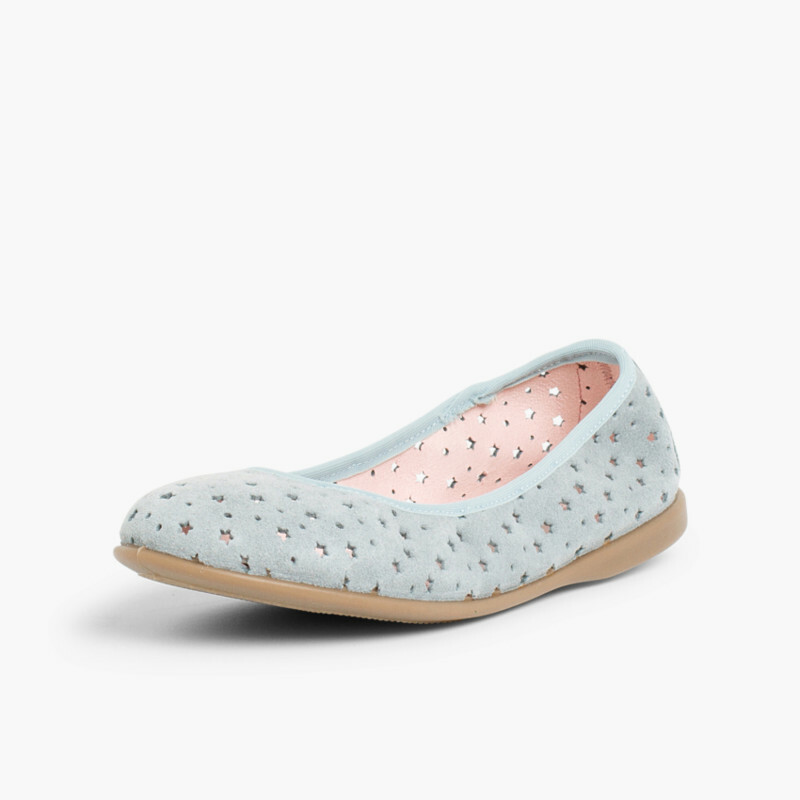 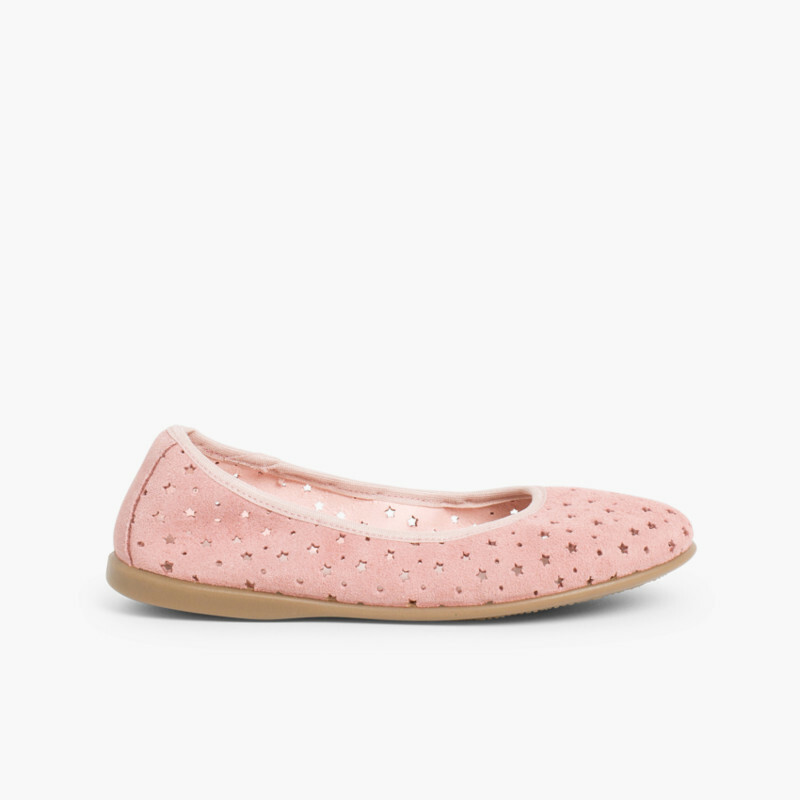 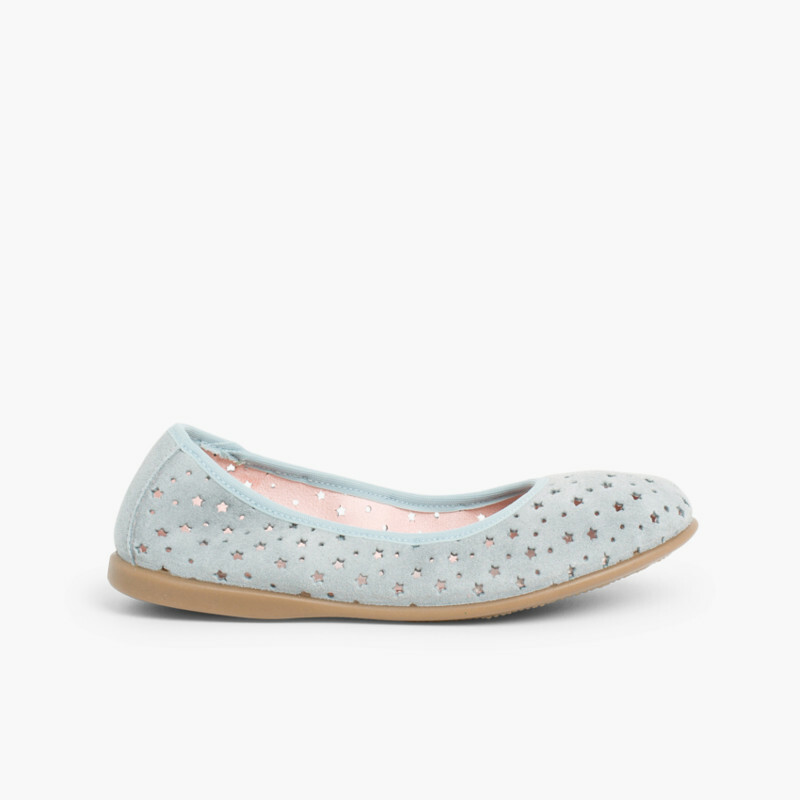 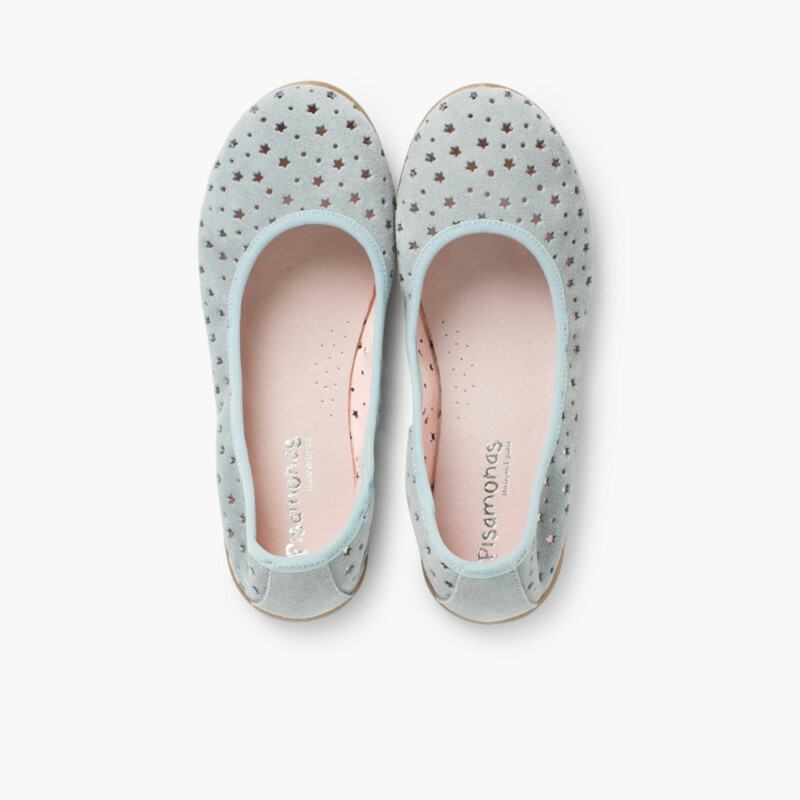 We have a design she’ll love and that will look great with all her outfits: suede ballet pumps with a star punch hole detail, ideal for all her spring or autumn looks or for those summer nights when it gets a little chilly and a warmer shoe is preferred. 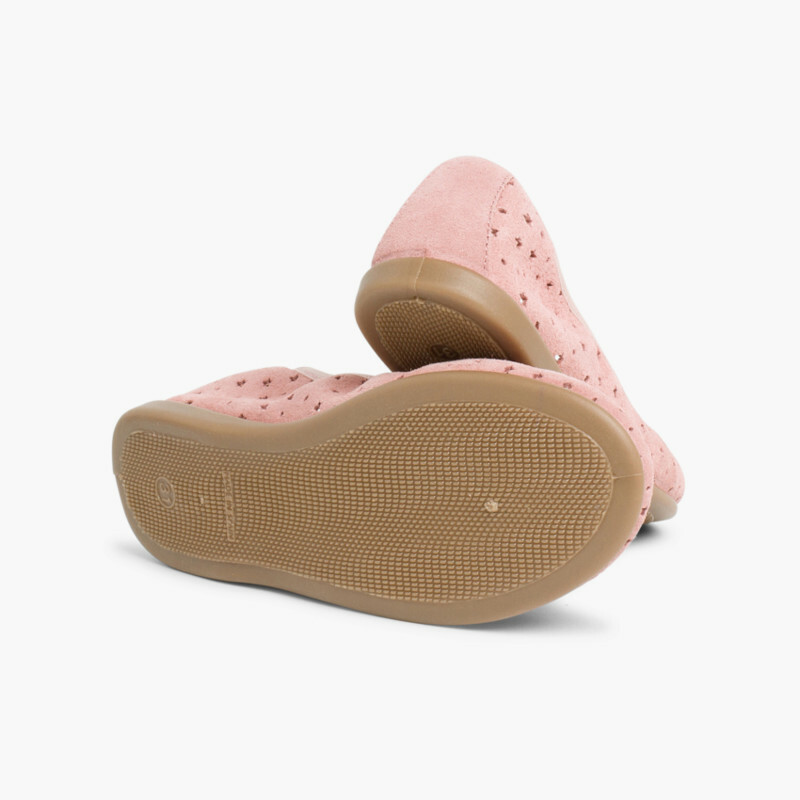 They are available in 3 different colours: pink, blue and beige and sizes 11.0C to 6A. 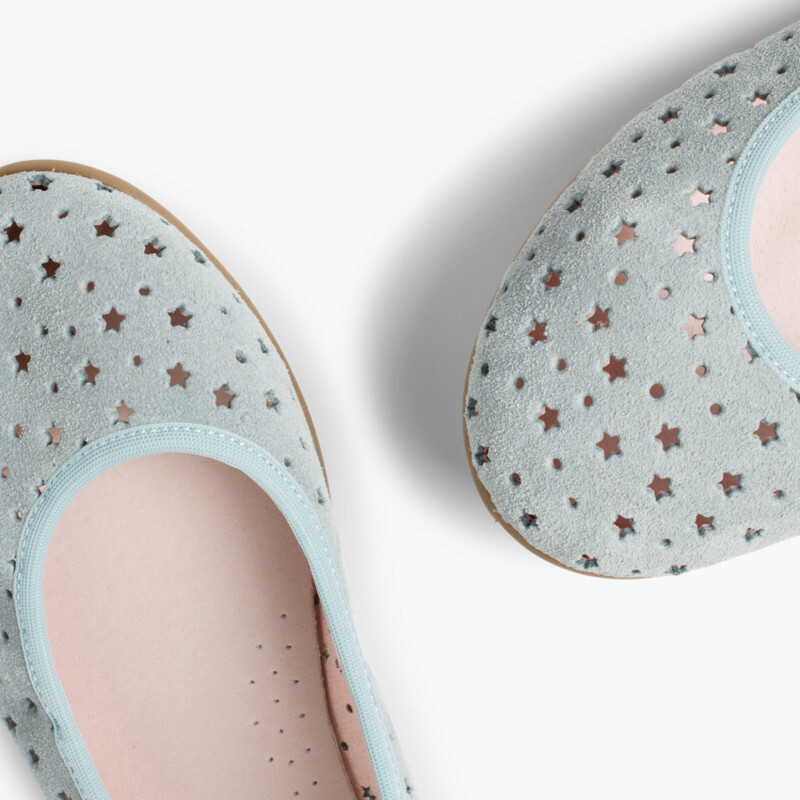 They are the perfect design for you and your daughter to wear matching shoes and pull off that mummy & me look with these trendy shoes! 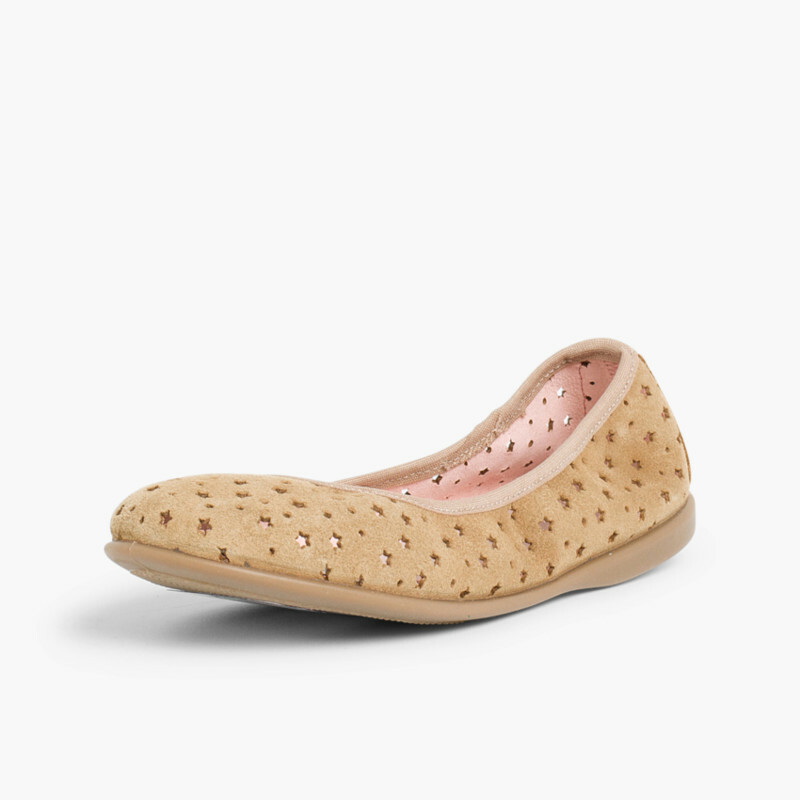 Its softness to the touch will surprise you. 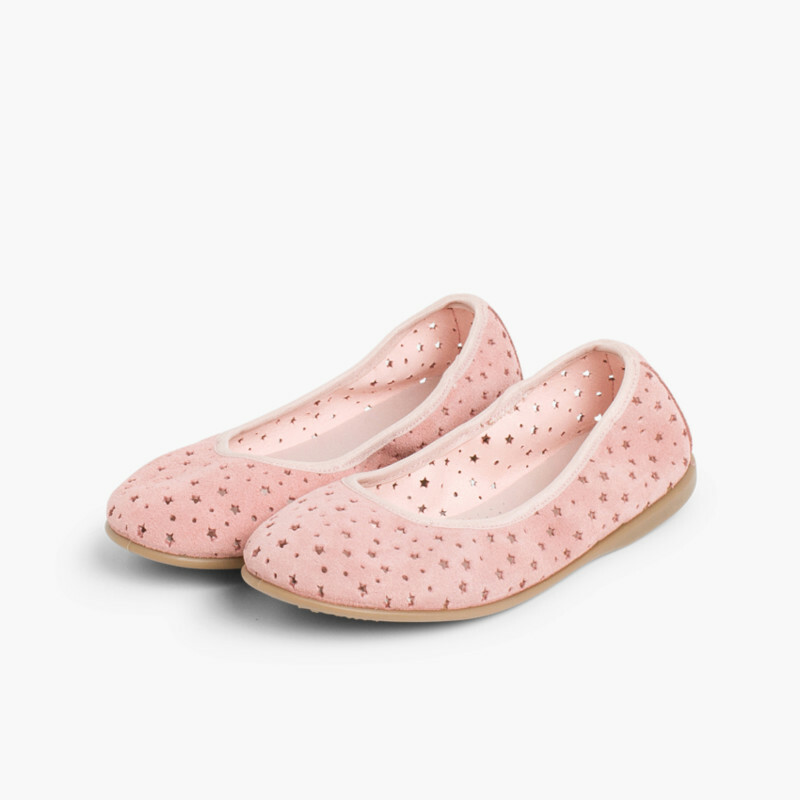 These fashionable shoes come with an elastic band that guarantee a good grip on the foot and a perfect fit, so when the little ones start running, the shoes will stay in place. 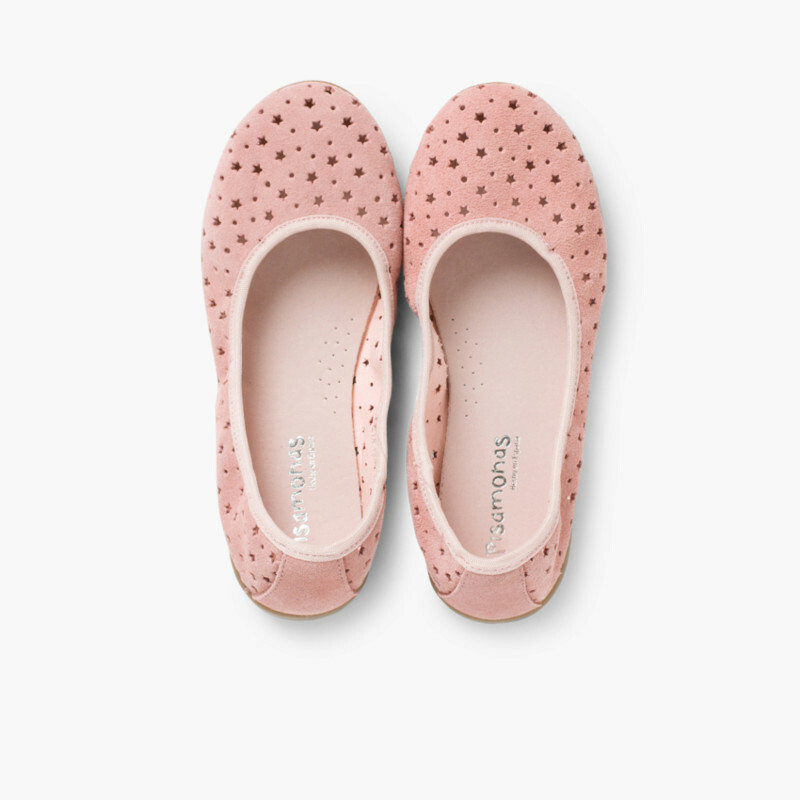 They are ideal, fashionable and with a perfect grip! 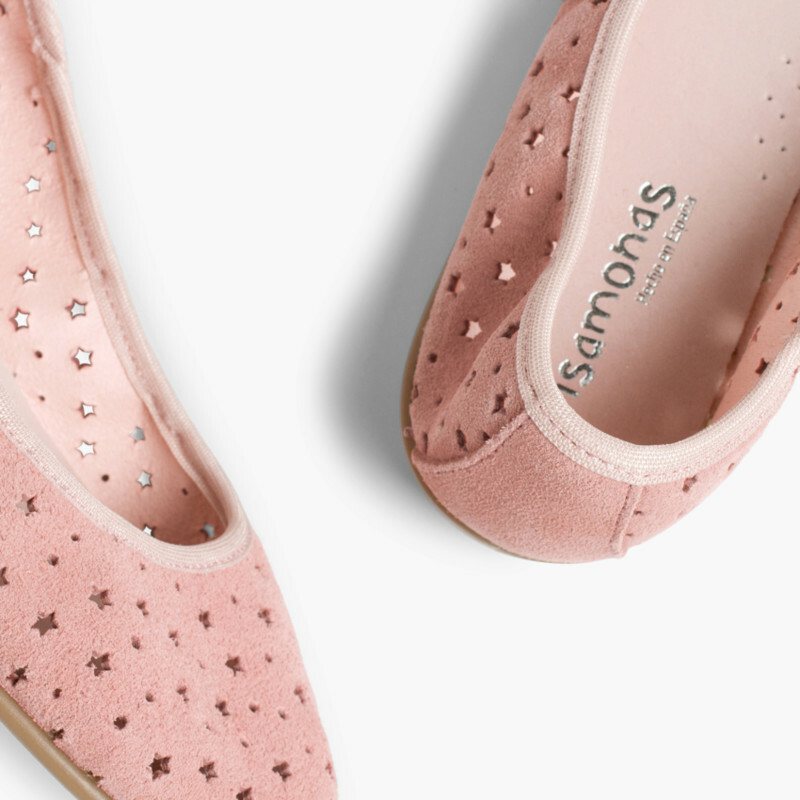 The star punch hole detail of these Suede ballet pumps with elastic gives it a modern touch that will get noticed. 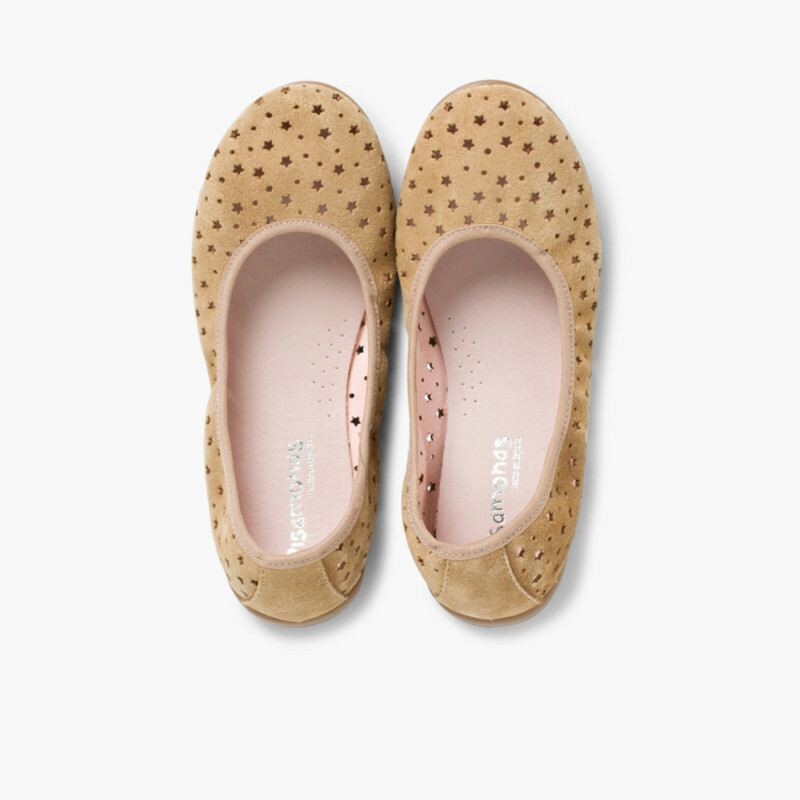 A new trend in girls’ footwear is here! 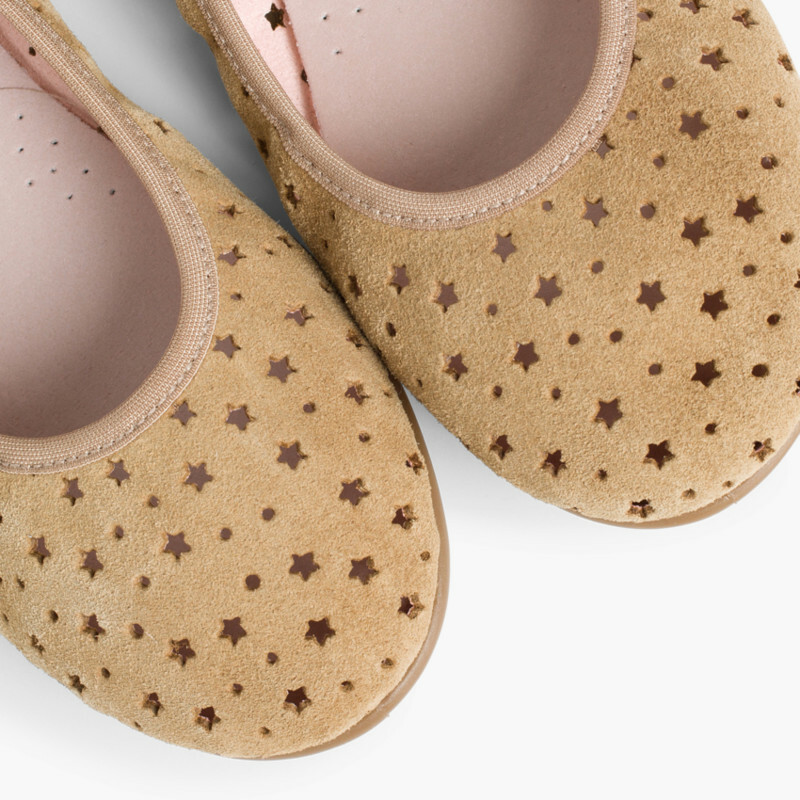 This design, like all our children’s footwear, is made in Spain with high quality materials.